UFO SIGHTINGS DAILY: Moon Of Saturn Is An Artificial Alien Construct, May 2016, Video, UFO Sighting News. 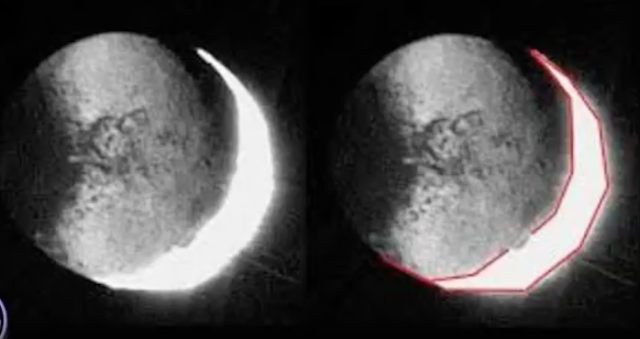 Moon Of Saturn Is An Artificial Alien Construct, May 2016, Video, UFO Sighting News. Here is an interesting video by Youtube user Securityteam10 which discusses a few of the many pieces of evidence that moons in our solar system are not naturally made, but made and controlled by intelligent aliens. The evidence is mourning and in the next ten years, the tech necessary to confirm these moons are artificial, will be in the hands of the public. Saturn Moon Dione and Titan are UFOs, from Cassini NASA photos, see video. UFO Sighting News.